You’d be hard pressed to spend any amount of time in the French Quarter, particularly a French Quarter gift shop, and not come across copies of Robert Tallant’s books. I’m hesitant to call either Voodoo in New Orleans or The Mysterious Voodoo Queen histories, at least in the academic sense of the word, but they are highly entertaining accounts of New Orleans Folklore and give a unique insight into some of the local attitudes around New Orleans culture in the 1940’s. Some of you all reading this might be history buffs, so may be familiar with Tallant or the criticism around him. For those of you that aren’t, I’ll just tell you that he’s copped a lot of flack for having racially influenced attitudes around voodoo and also for writing in a style that can only be described as sensationalist… there’s also a whole thing about him not referencing any of his source material, which is a pretty big deal if you’re a historian. Still, he’s managed to endure for decades, which tells me there is something about his style that keeps the publishers printing his books, which is why we’re talking about him right now. 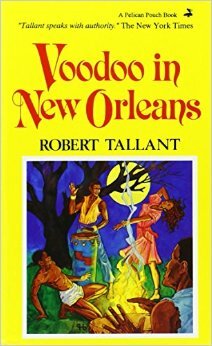 Despite his short comings, if you consider Tallant in context, you can still take a lot from his writing and, if you’re a tourist in the area or are planning to be, I’d recommend reading Voodoo in New Orleans before you go, cause you’ll be amazed at how often his themes appear in ‘historic’ walking tours. It goes to show how little has changed regarding the legends of vampires, voodoo and Madame La Laurie in the last 75 years. Tallant was a bit obsessed with the figure of Marie Laveau, so much so that he wrote his second book almost exclusively about her. 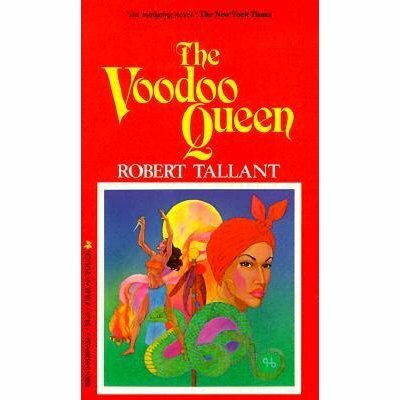 The Voodoo Queen is equally as sensational as Voodoo in New Orleans, but it is one of the earliest texts that I have come across that buys into the two Marie Laveau theory. The two Marie Laveau story pretty much suggests that there was Marie Laveau I, the original, who was the first Voodoo Queen and then there was her daughter, Marie Laveau II, who looked so much like her mother, that when she came of age they kind of went into business together and would dress alike and go out into society as the same person. This created the idea that Marie Laveau was an ageless figure and that she could be everywhere are once, which was also why she seemed to know all the secrets of the French Quarter. After Marie I died, Marie II took over the Voodoo business full-time and some say that Marie Laveau House of Voodoo is actually the home of Marie II. 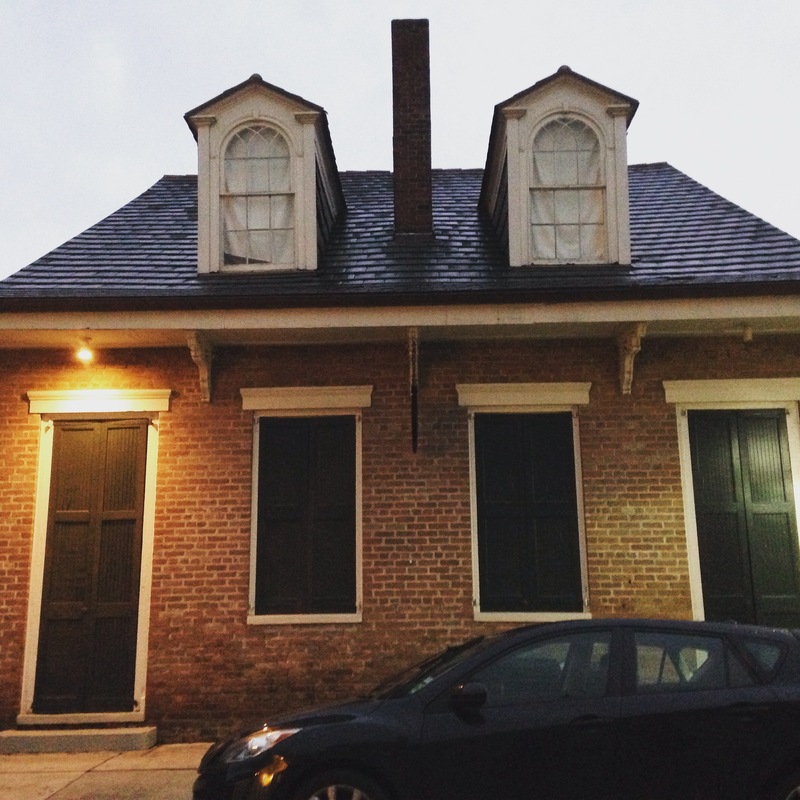 The historic home of Marie I is not actually on Bourbon Street… actually, the historic home doesn’t even exist, it was accidentally knocked down and then rebuilt. You’ll read a lot of conflicting scholarship on Marie Laveau. While there are people who support the two Marie theory, there are equally as many that suggest that it is rubbish. The case for and against is compelling and since there is so little surviving documentation about the original Marie Laveau, it is possible we may never know the whole truth and nothing but the truth, so help us God. We do know that Marie was a free woman of colour. 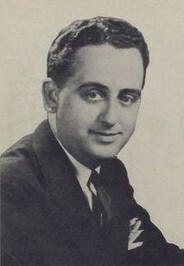 We do know that Marie was often referred to as the Widow Paris and that she was married to a fellow named Jacques Paris at one point. What happened to him is uncertain. In some stories, he died and in others he abandoned Marie. We also know that she took up with a fellow named Christopher Glapion after her husband vanished and that they had a large number of children (accounts differ on an exact figure). We know that Marie was a devout Catholic and we know that she often visited prisoners on death row. It is rumoured that she was a hairdresser and has also been suggested that she may have been involved with prostitution. I don’t know how much I trust the evidence about those last two facts though. There’s a ton of scholarship floating around about the historic Marie Laveau, but much like the location of her tomb, it is hard to say what is fact and what is fiction. In any event, you should check out some of the scholarship if you’re headed to The Big Easy, because you can’t go anywhere without running into her ghost. 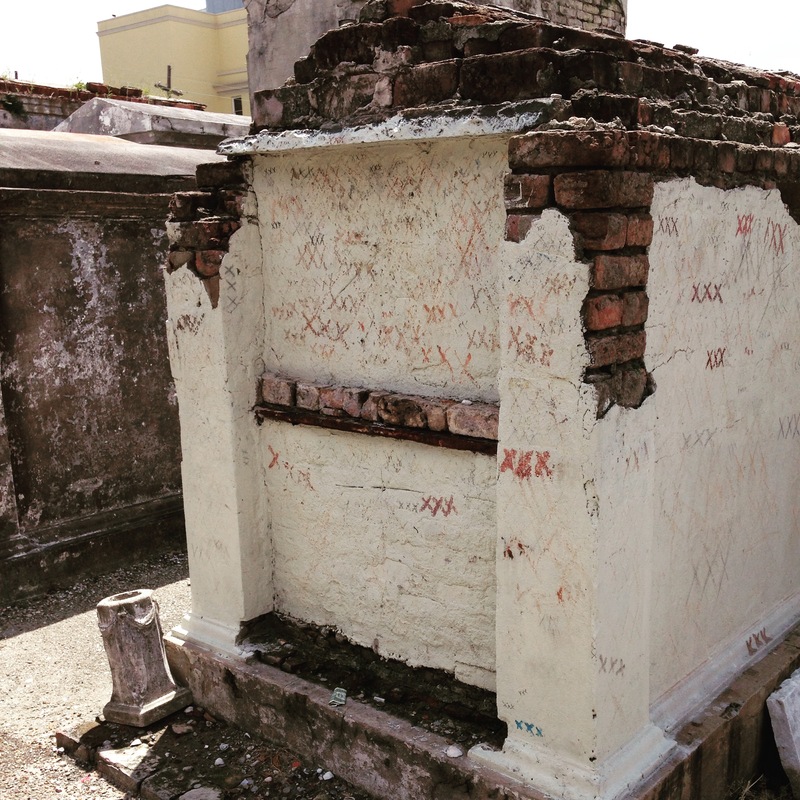 (maybe the Marie Laveau tomb, maybe the tomb of Dr. John, maybe the tomb of some poor soul that had nothing to do with voodoo at all… We may never know the truth). Since I started this by talking about Robert Tallant, I’ll end the same. There’s another book, Gumbo Ya-Ya, in which Tallant also features as an author and is again, a mish mash of cultural ‘histories.’ It’s also pretty fun and exposes the work of Lyle Saxon. Saxon was one of the first writers to pen a tourist guide to New Orleans, so his name pops up pretty often in scholarship on the area. I’m not suggesting that Tallant or Saxon are the final authority on history or folklore of New Orleans (and there may be elements to their writing that bothers you) but they’re a pretty light place to start and I’m sure there will be something in the work of Tallant especially that will make you laugh out loud… possibly because it is so ludicrous.